Over half of Anova's workforce is made up of strong, dynamic and driven women. In celebration of Women's Month this August, we want to thank all the women for their invaluable contribution in helping us empower people and change lives. Good health and quality of life are what motivates us to provide healthcare solutions and support for those who need it most. In honour of all our women, we are highlighting three individuals who are taking us to the next level. Dr Moyahabo Mabitsi, Dr Diane Mokoene and Dr Lucy Ranoto. Dr Moyahabo Mabitsi is currently the Executive Manager in Public Health. 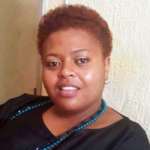 Moyahabo is passionate about public health and is currently pursuing her studies in MSc in Epidemiology of Infectious diseases at WITS University. Moyahabo wanted to be a doctor since primary school, her cousin who was a doctor inspired her. Moya always knew she wanted to help the community and make an impact in people’s lives who cannot afford and access private care. "I am happy and excited to be part of an organisation where through our HIV programme in SA we are moving closer towards reaching HIV epidemic control." 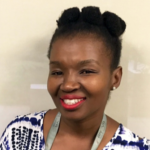 Dr Diana Mokoena is currently the Programme Manager for Anova in the City of Johannesburg, responsible for Health System Strengthening activities in Anova supported public healthcare facilities. She is passionate about better health outcomes for people living with HIV and TB. Dr Lucy Ranoto is the Programme Manager of the Anova team in Mopani, Limpopo. 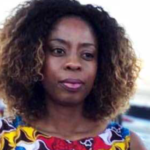 With a wide clinical and health systems strengthening experience, her main focus is to support and strengthen the health system in Mopani District and all its supported sites, to improve HIV/eMTCT/TB (Paediatrics and Adults), STI management especially the quality of care of all people living with HIV. "I followed my passion for making a difference in people’s lives." Thank you to all the women of Anova for sharing your passion and skills in helping us to make a positive difference in people's lives.